Spain’s relatively successful transition to liberal democracy brought with it a treatment of the recent past governed by fear and prudence. The fear of outbreak of another civil conflict and the still open wounds of the 1936 War conditioned the whole political process of change. In the public field, a certain general amnesia hung over society in which political amnesty and forgetfulness, as a symptom of pardon, contributed, at that moment, to ignoring the trauma of violence and repression caused by the war and the subsequent dictatorship. After more than three decades, there are many who, both institutionally and personally, call for the recovery of the memory of that period. Collective memory would come to represent, to a large extent, a consensus between multiple individual memories around a determined historical moment. Thus, collective memory of exile derived from the outcome of the Civil War coincides in considering it as one of the most traumatic human experiences of our contemporary history. But this collective memory of exile does not exist in isolation but coexists with multiple individual memories. For most, exile derived from the Civil War is an acquired specific memory, inherited and incorporated into general memory. For others, a minority about to disappear, exile is an autobiographical episode that in one way or another has marked the rest of their lives. The space dedicated to the experience of exile gives a voice to these protagonists of the history of the 1939 Republican exile who experienced themselves the vicissitudes of leaving their country against their will and having to cross the border to an uncertain future. 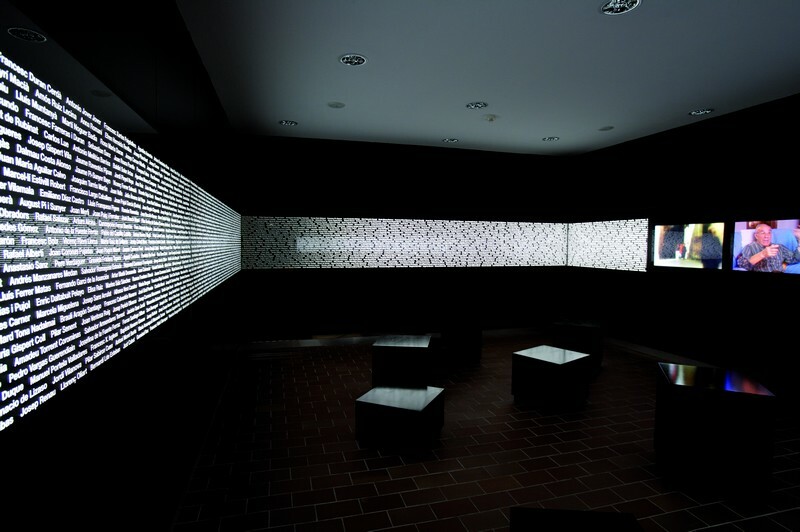 Experience of Exile room (MUME).